On Dec. 14, 2018, when the world's first team of intelligent robots for environmental sanitation started their work in Changsha, the capital city of central China's Hunan province, a bus was taking a special test at the National (Changsha) Intelligent Connected Vehicle Testing Zone. The bus would conduct a series of self-driving operations, such as changing lanes, overtaking, getting in and out of bus stops, responding to traffic lights, avoiding vehicles and pedestrians, and trying to drive safe with various radars and cameras as its eyes and algorithms as its brain. Fourteen days later, China's first open-road smart bus demonstration line, which stretches for 7.8 kilometers, was put into trial operation in Xiangjiang New Area,Changsha. As early as 2016, Hu Henghua, who was mayor of Changsha at the time and now the secretary of the CPC Changsha Municipal Committee, started making arrangements for Changsha's intelligent connected vehicles by promoting the establishment of Changsha Intelligent Driving Institute and the implementation of other projects. In June 2018, the testing zone built up byXiangjiang New Area had already became an enclosed intelligent connected vehicle testing zone with the most testing scenarios and the longest testing mileage among those intelligent connected vehicle testing zones in operation in China. Moreover, with 5G signal covering the whole testing zone and the 7.8-kilometer open road now, an instant interaction between the road and the vehicles as well as between different vehicles can be realized, which avoids driving risks and increases driving efficiency. In addition to the automobile industry, a profound intelligent transformation is sweeping Changsha's industries. InmayorHu Zhongxiong's words, it is about "extending the 'intelligent +' industrial chain to connect industries with intelligent manufacturing." Industrial clusters based on emerging technologies, such as robotics, 3D printing, artificial intelligence and big data, came into being rapidly in Changsha. Leading companies in the city, such as heavy machinery manufacturer Sany Heavy Industry as well as engineering and agricultural machinery manufacturer Zoomlion, are also globalizing their technologies, products, research and development, and services. So far, Changsha already has 27 national-level pilot, demonstration and special projects for intelligent manufacturing, ranking first among all provincial capital cities in China for the first time. Achievements like thiscan beattributed tothe city's three-year action plan for intelligent manufacturing launched in 2015. The plan aims to transform leading companies and upgrade industries, such as construction machinery, materials, and electronic information, in order to enhance competitiveness. That year, Sany was selected as one of the first batch of national pilot and demonstration projects for intelligent manufacturing. Sany's No. 18 workshop is the largest and most advanced intelligent manufacturing workshop in Asia. According to media comments, the workshop is like an intelligent system comprising a large computing system, traditional operating tools, and large production equipment. Every production process, quality inspection, and the labor volume of every worker is recorded. 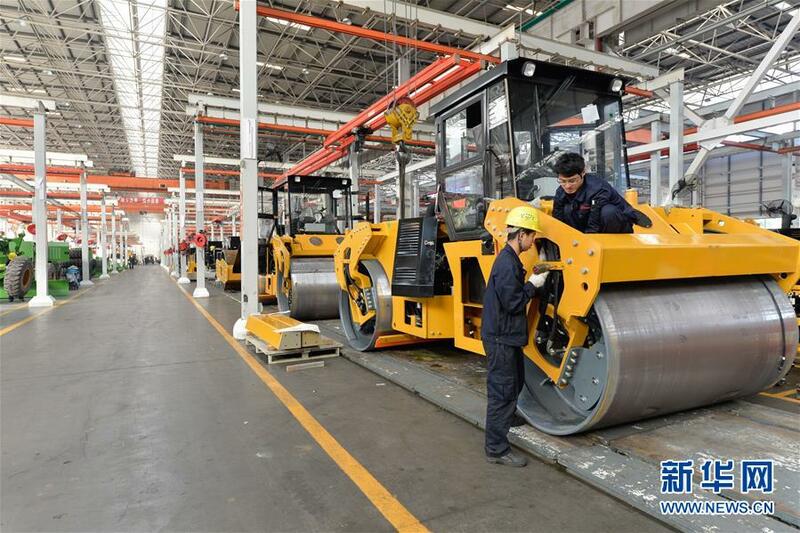 Besides the 27 national projects and the related manufacturing giants like Sany, hundreds of small- and medium-sized manufacturing companies are also involved in Changsha's intelligent transformation, according to Huang Tao, director of Changsha Economic and Information Commission. However, for small and medium-sized enterprises (SMEs), the transformation was not easy, Huang said.To facilitate their transformation,Changsha provided model companies with special incentives, subsidized 30 percent of expenditure on the procurement of intelligent software and equipment, and established intelligent industry fund and risk compensation fund through banks. Changsha also established an intelligent manufacturing research institute in 2015 as a link between the government and companies, as well as a public service platform for intelligent manufacturing in Changsha. According to Huang, by the end of 2018, around 462 companies carried out pilot transformation of intelligent manufacturing, and most of them have completed the process. Their efficiency increased by about 30 percent, and substantial effects can be seen especially in traditional industries like food, medicine, clothing, and fireworks. "It is pretty obvious that more and more enterprises apply to join intelligent transformation with strong desire, because they have seen the policies, the outcomes and the possibilities," said Yang Songbai, director of the consultation and implementation department of the institute. Besides Yang's institute, Changsha also formed another public service platform for intelligent manufacturing composed of Changsha Robox Institute, Changsha Industrial Cloud Platform, and others, as well as a cooperation and exchange platform of intelligent manufacturing technology represented by an intelligent manufacturing-themed summit in Changsha. Now, intelligentmanufacturing has become a calling card for Changsha. Dong Jingchen, an expert on manufacturing from the Chinese Academy of Engineering, said that driven by the governmentfromtop down and led by leading companies, upstream and downstream companies in the eco-chain of intelligent industry achieved a coordinated development in Changsha. The city is working to become a central city of intelligent manufacturing in China, said Huang Tao, director of Changsha Economic and Information Commission. Changsha set a record with its 27 national-level pilot, demonstration, and special projects for intelligent manufacturing. It now aims to become a national center in this cutting-edge field.